The butterflies are about the fly away forever and retire! These beautiful cards were cased from another demonstrator. 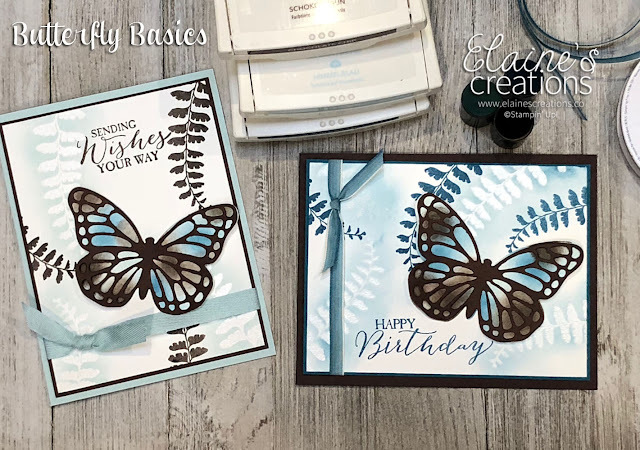 I love how she used the emboss resist technique with the fern leaves and sponged the colors on the butterfly and layered with the Butterflies thinlits. I added some ribbon to finish these lovely cards!